A page on TigerLocal will showcase your business to hundreds of local people looking for a cinema. So you'll get serious enquiries from new customers. We have three screens here at the Embassy. 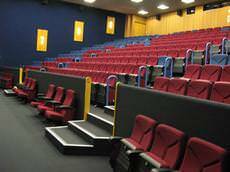 Screens 1 and 2 are traditional style cinemas with 90 and 120 seating capacities. Screen 7 is our luxury auditorium with leather armchairs, sofas and tables to put your drinks and nibbles on. Gulbenkian Cinema is Kent's independent film theatre showing new mainstream and non-mainstream releases as well as archive and foreign language films not otherwise available in the region. 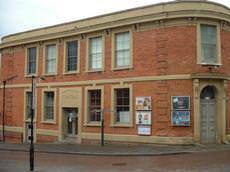 Located in the heart of Royal Leamington Spa, The Royal Cinema is Leamington Spa's leading venue for World Cinema, Independent Film, and seasons of Classic Movies from around the world. The Stag Community Arts Centre contains a 450 seat theatre, a second space (the Plaza Suite) and two digital cinemas. 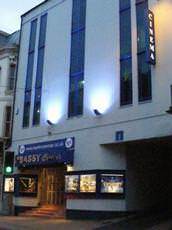 Set in a 1930's Art Deco style building the cinemas are state of the art in both projection and digital sound.